The English Ancestry of four Moulton men who immigrated to New England during the Great Migration has been traced back to the 15th century. John, James and Thomas were brothers, William was their cousin several times removed. Their common grandparents were Robert Multon and his wife Margaret Watts of Ormesby St. Margaret, Norfolk. Ormbesby St. Margaret is a village on the Norfolk coast. The village boast a 14th century church, which would have been the parish church of the Moulton family. Sadly, parish records do not exist prior to 1601, dates of births and marriages are estimated and dates of death are based on wills. 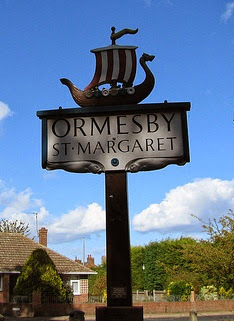 Ormesby St. Margaret is only about 20 miles from the village of Paston, home to the 15th century Paston family. If you have never read the Paston Letters, I encourage you to do so. The letters reveal details of everyday life in those long ago days, and make ancestors like the Moultons seem more real. 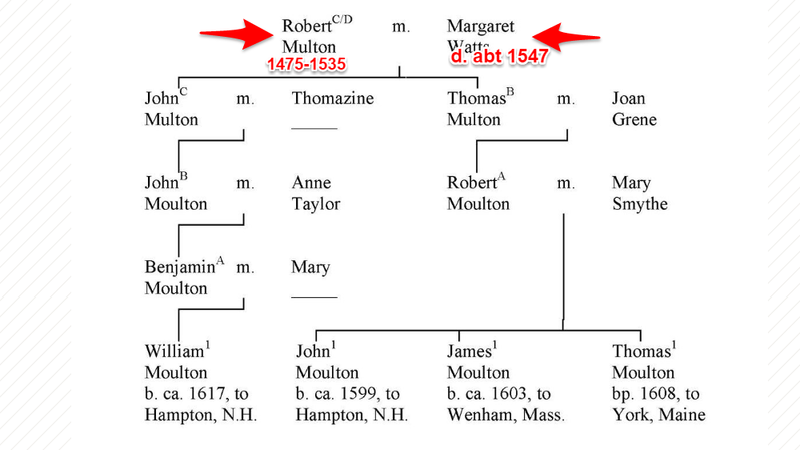 In fact the Moulton's held land that bordered on lands held by the Paston family. The flat Norfolk countryside supported a flourishing agrarian society still centered on the manorial system. Each man held land, copy hold or free hold from the Lord of the Manor. Justice was delivered by the Manorial Court. Church wardens kept an eagle eye on parishioners.The farmers grew oats, barley and pease. Larger land holders raised sheep for wool and meat. Rents were usually paid in barley, and they would be paid at times, to the lord of the manor. The manor of Ormesby, at the time of the Moultons was held by the Clere family. This family can be traced back to Nicholas de Clere who married the daughter of Sir William de Ormesby in the 13th century. A Sir Robert Clere was sheriff of Norfolk in 1501 and attended King Henry VIII in 1520. His second wife was the daughter of William Bolyen of Blickling. 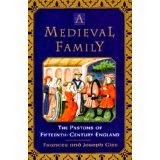 His son William married the daughter of Sir John Paston, of the Paston letters. The first Moulton to whom the immigrants can be traced is Robert Multon of Ormesby St. Margaret. He was born around about 1475. Edward IV was King of England, the House of York had won the War of the Roses. But, England would soon be wracked by war once again, when Edward's brother Richard III would put aside (kill) the rightful heir to the throne and set himself on a collision course with Henry Tudor, the future Henry VII. When Robert died in 1535, Henry VIII was married to Anne Bolyen, who incidentally, was born at Blickling Hall, not far from Ormesby. The effects from Henry's split with the Catholic Church, needed to obtain his divorce from Catherine of Aragon, would have a rippling effect that would impact the lives of future Moultons. What we know about Robert, which is very little, comes from his will and a few other documents on which his name is found, including manorial court rolls, and the lay subsidy rolls, a list of taxpayers and the amount they owed. In the roll for 1523/1524 two men named Robert Moulton were taxed; one for land and one for wages. It is believed that they represent father and son. The younger man died prior to the writing of his father's will in 1535. In one document he was identified as a yeoman, a step above a husbandman and one below a gentleman. Robert's will has been transcribed at various times. Significantly in its newest transcription the value of his estate has been corrected downwards as it was been found that what was thought to be pounds was shillings, and shilling pence. Despite the lesser value of his estate, he did have enough to warrant a will, for which we are thankful. Medieval wills follow a fairly standard formula. Robert's will, dated 4 June 1535, is no different. The dying are firstly concerned with their eternal soul and make bequeaths to their church, the poor and indicate where they would like to be buried. 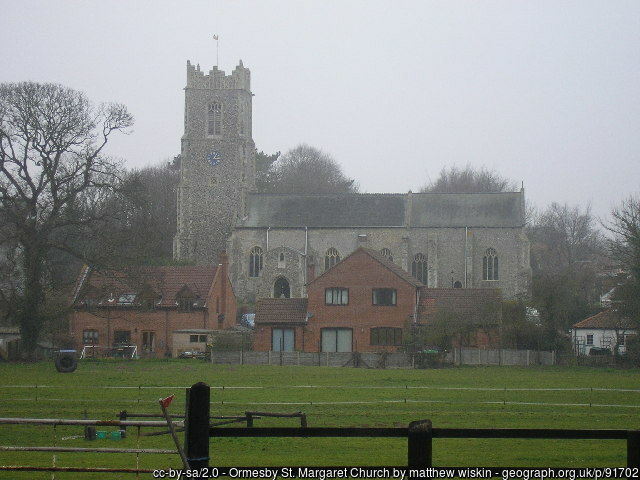 Robert left money to St. Margaret's in Ormesby, various religious guilds, and to a hospital or almshouse for 'sick men in Yarmouth.' The will was written by one who was still very Catholic in his religion. He bequeaths his soul to God, Mary and the saints. His soul taken care of, Robert then makes his bequests to his survivors. He names two daughters, each get money. Margaret 20 shillings, Isobell 40 shillings. His son Thomas was to have 4 marks sterling. The English monetary systems was pounds (L), shillings (s), pence (d). There was twelve pence to a shilling and twenty shillings to a pound. A mark was two-thirds of a pound. John, his heir and presumably the eldest son, was to get his father's house and land, after the death of his mother, Margaret. This statement is great because it let's us know that Robert's wife was the mother of his children, not always the case, as many men married multiple times. Roberts will was witnessed by Thomas Watts, Margaret's brother. So, that is what we know about Robert. He was likely about sixty years old, had four surviving children, he was not rich, but not poor, he had land, either copy or freehold and that's about it. Margaret and her brother Thomas were the children of John Watts of Ormesby St. Margaret. He was born about 1450, possibly in Worsted. His wrote his will on 4 April 1500. His wife's name was Beatrix, but it is unknown if she was the mother of Thomas and/or Margaret or any of the other children named in his will. Margaret was born about 1478. John Watts' will was proved the following March. Worsted is about 14 miles from Ormesby and a review of will show a cluster of men of that name in Worsted.